Asus Computer International has launched the latest entry into what’s becoming a busy market for Android tablets with seven-inch screen size and an affordable price tag. The Memo Pad will retail for USD $149 and is loaded with Android 4.1 Jelly Bean, and offers a 1 GHz processor with a separate graphics processor to support modern games from the Google Play store. Add 1 GB of RAM and up to 16 GB of internal storage with the option to expand with a microSD card slot and you’ve got some pretty respectable specs for the price tag. Google tapped Asus to make its own branded tablet in the Nexus 7, and now we’re seeing that experience put to work to make an even more budget-friendly option in the Memo Pad. The Memo Pad starts at an affordable $150 price tag. 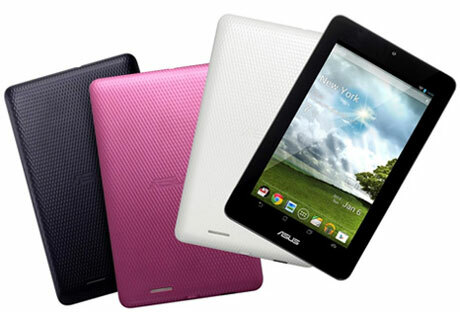 This tablet promises a seven hour battery life and comes in several different colours including white, gray, and pink. Asus has included several of its own custom apps installed out of the box. While many of these manufacturer apps are inferior versions of what’s available in Google Play, customers will likely appreciate the 5 GB of free storage that comes along with Asus WebStorage, which can be used to store and sync your documents. With the number of low-cost Android tablets, sized to be one-handed use friendly, now available on the market plus the iPad mini’s addition, this tablet size category is likely to become near ubiquitous. Businesses and workers looking to boost productivity (or entertain themselves on a commute) are more likely to pick up devices for even one or two main applications with such low price tags. Here’s a couple other tablet alternatives to the Memo Pad that offer seven-inch screens, a modern version of Android, and hardware powerful enough for a good multimedia experience. Also made by Asus, this Google-branded tablet offers a clean Android experience unfettered by any layers of manufacturer user interface tweaks or pre-installed apps. It always has access to the most recent Android release and is currently running version 4.2 Jelly Bean. Starting at $209 for a 16 GB Wi-Fi model, a 32 GB model and a cellular connection model are also available. The display is sharper than the Memo Pad with a 1280 x 800 resolution. It also offers a front-facing 1.2 megapixel video camera for web conferencing and an NFC sensor. These factors might make it worth the extra $50 cost over the Memo Pad. This take on the Android tablet from e-books firm Kobo Inc. is built around the reading experience, but also offers all the multimedia capabilities you’d want from a modern fondleslab. At $199 for the 16 GB model, it just undercuts the Nexus 7 and is a bit pricier than the Memo Pad. It offers a bit more horsepower with its 1.5 Ghz CPU and also offers a high resolution 1280 x 800 display with 16.4 million colours. A look at the Kobo Arc from its launch event. Kobo says the Arc is tougher than the Nexus 7, standing up to falls and bumps without breaking. The Tapestries user interface allows users to “pin” content they like to differently themed groups and then starts suggesting content that would appeal to the user.